Ascites is the abnormal buildup of fluid in the abdominal lining and surrounding organs. Minimal ascites can be difficult to detect, as the buildup of fluid is often not particularly obvious. In moderate to severe cases, ascites is more pronounced and readily visible. Ascites occur most frequently as a symptom of liver disease. As more fluid begins to accumulate, the abdomen appears larger. 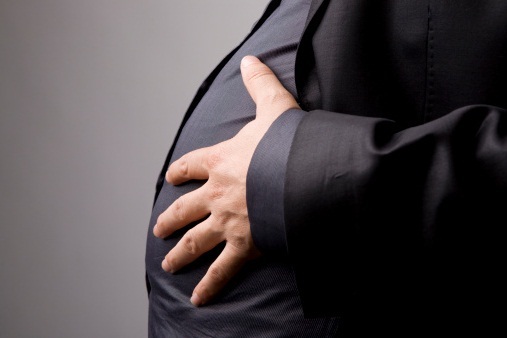 Ascites is not a disease; rather, it is a symptom of an underlying condition or disease. Advanced liver disease andcirrhosis, which have no cure, are the most common causes of ascites. Ascites is caused by high blood pressure in the blood vessels of the liver, called portal hypertension and low levels of the protein albumin. Chronic infections such as hepatitis C , certain cancers, prolonged and excessive alcohol consumption, congestive heart failure, pancreatitis, kidney dialysis, and blood clotting in the veins of the liver can all cause ascites to form. Symptoms may develop gradually or suddenly, depending on the cause. When only a small amount of fluid is present in the abdomen, ascites may be undetectable. Abdominal pain and bloating increase with the amount of fluid collected in the body. Very significant amounts of fluid have been shown to cause shortness of breath and other liver failure symptoms. A physical exam alone can diagnose moderate to severe cases of ascites. Diagnostic tests such as a 24-hour urine collection, used to measure electrolyte levels, may be performed. Other tests such as kidney function tests, liver function tests , diagnostic imaging such as an ultrasound, and urinalysis may also be used. In some cases, ascites are extracted for testing. In the process called paracentesis, excess fluid is removed from the body with a needle. Tests may then be performed on the fluid to check for other potentially troublesome conditions. Install a tube (shunt) to aid blood in flowing to the liver, a surgery that is rarely performed. A catheter may be put into the abdomen so that fluid can drain. Use chemotherapy for patients with certain types of cancer. This treatment is extremely rare. Prevention of ascites depends on the cause. Nearly 80% of ascites cases are found in individuals with cirrhosis.